This is the 200th post on this blog!! What a milestone! It is also 75 years to the day that Britain declared war on Germany after their invasion of Poland two days previously. 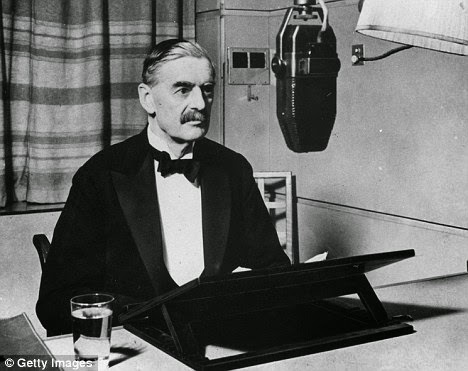 Read the Prime Minister Neville Chamberlain's declaration of war HERE. Plastic Soldier Company have recently released their 15mm Plastic Early War German infantry set and it is what I have been waiting for to start on a Stalingrad specific German force. I thought I'd do a quick product review for people interested in buying this set. So what do we get for our money? In the box are twelve sprues packed with little fellas and of these, nine sprues have the standard rifle infantry figures along with two MG34s with their associated No.2 (one set firing the gun from a prone position and the other two standing whilst advancing). The other three sprues have Officers and NCOs (armed with pistols and MP40s), which is a nice balance for the riflemen. These sprues also include a 5cm Mortar and two man crew and a Anti-Tank rifle with its two man crew. This is an excellent addition and allows for the small level support for my companies (in Rapid Fire!) without having to buy a separate box of heavy weapons. Right click on the image and then click 'view image' for a close up of the picture below for detail of what is on each sprue. Another change over from previous infantry sets is that one of the MG34s, the mortar crew and AT rifle crew are in two separate pieces, the head and shoulders are separate from the body. This is excellent overall as it means less fiddling with small parts, but here the weakness in PSC products shows through; there are no clear indications which body half goes with which, so it's a guessing game and one I got wrong the first time! Luckily the glue hadn't yet dried so I was able to swap the body halves around to the correct figures. This is something I notice with every PSC kit, and would be overcome if only they numbered parts like other plastic model kits. However, this is a very minor point on an otherwise superior product. These are the first ones I have painted, specifically for Stalingrad with rubble on the bases instead of grass. They are nice figures, easily painted and they are chunkier than the earlier PSC figures, which I like as I found the Late War figures a bit sinewy. The figures are exactly 15mm from base to eye, and should mix well with other manufacturers of 'true' 15mm figures. With plenty of detail these are worth every penny and the box should be enough to create a usable basic force for Stalingrad. Keep checking back as I paint more of this box! Thanks for looking! Thanks for the review and congratulations on post#200! Thanks Troy, I'm glad you liked it! Nice review. I've been steadily building up some 15mm Soviets around a Stalingrad theme, but with Battlefront figures. The early PSC infantry do look quite malnourished, but these ones look great. I might try some of these for my new German collection. Thanks Paul, yes, those Late War Germans are a bit spindley so I am glad to see that PSC have addressed the situation with these figures. Well worth investing in and it gives you a massive core collection. Thanks Al! I'm glad you liked it! These are perfect for the purpose, I would certainly mix them with other manufacturer's minis though, to increase the amount of poses. But the price for 138 figures is unbeatable!